No denying that I appreciate my morning coffee. In fact, I wrote about my adoration here as well as some things I like to put in it to amplify it healthiness here, but tea, has a place in my heart, too, and I hope in yours as well. Plain iced organic black tea with lemon, especially in the summer, is a favorite way for me to stay hydrated a large part of the day, But, my tea affection does not end there. Let me share my nighttime appreciation for some other tea leaves that I use to wind down and signal the nighttime slow down. Best pivot carefully away from any caffeinated foods and drinks come mid-afternoon to avoid sleep disturbances. 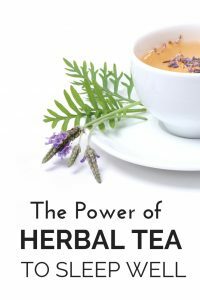 Reaching for herbal teas that do not contain any caffeine is a great alternative with lots of added health benefits, too. Come take a look! Herbal tea is not the tea made from the Camellia Sinensis plant that gives us black, green, white and oolong teas, but an infusion of leaves, seeds, roots or bark of various herbs. Drinking a well-steeped herbal tea gives you the plant’s benefits in an easily digestible and tasty form and may help you wind down, provide a hydrating boost before bed and even help clear toxins as well. 1. Weeds may serve a purpose after all! Squeeze all you can out of a nighttime tea bag ritual and do some detoxification at the same time! When consumed as a tea, roasted dandelion root tea can serve as a gentle liver cleanser and may also assist in the production of bile, which can help with our digestive process. The root is abundant in vitamins and minerals, and the slightly bitter flavor may help trigger function of other digestive organs like the gallbladder and kidneys and help rid your body of excess water, too. Not bad at all for one bag of tea. Don’ miss this: some current research that could show cancer-fighting benefits to this tea as well. 2. A sleepy-time combo does double-time. Chamomile tea’s association with sleep promotion is well deserved as its can cause a relaxing of the nerves and stomach, encouraging a sense of calm. But, I have been enjoying this chamomile and lavender tea blend adding a floral note to my evening that is nice. The addition of lavender is a known insomnia fighter, but be sure to steep it well and note tips in the chart below to get all the medicinal benefits. The two types of chamomile especially known for their health benefits and targeted in current research are German chamomile (Matricaria recutita) and Roman chamomile (Chamaemelum nobile); thus, look for those when purchasing your tea. 3. The freshness of mint soothes. Peppermint herb tea is a naturally caffeine-free tea that has great stomach settling benefits that can be a great choice after a big dinner or for a disagreeable tummy. Anything that upsets your stomach surely can play havoc with getting a good night’s rest. This peppermint tea also contains good amounts of potassium, calcium and vitamin B, all useful to fight a cold or flu as well. And, let’s not forget it does some good to freshen your breath! Don’t miss this: Another great way I use mint. Steep herbal teas in a covered vessel or put a plate over your mug. This aids in containing the beneficial essential oils of the plants. Brew herbal teas longer than other teas. Ensure you steep your loose tea or tea bags long enough—in some cases, as long as 10 to 15 minutes—to really bring out all the healthful properties. Purchase high-quality ingredients and brands as always show care to what you put in your body. Don’t miss this: Here is some information on better herbal tea brands to buy. Great non-alocholic ideas to drink yourself to great health all right here! Try this ritual to get your best shut-eye. 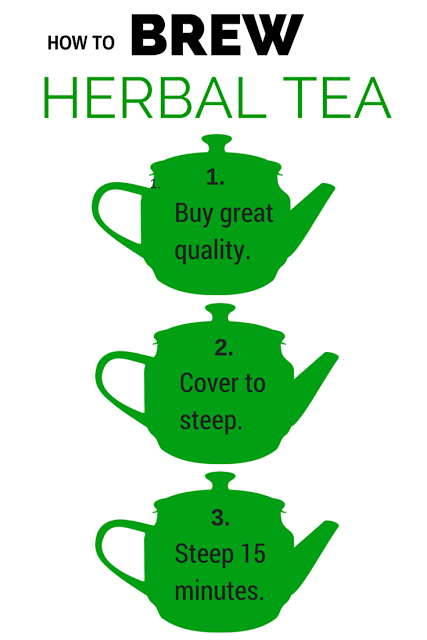 Do you frequently use herbal teas? Any favorites you turn to? So great that you have found some teas that help you so much! That can really do some magic! Amazing blog.. I would love to try these.. Right noe I am havinh lemon Water this is one of the drinks I routinely recommend to drink throughout the day made by either squeezing fresh lemon in water or by slicing lemons and adding them to a jar of water. Happy to hear you enjoy the blog! Lemon water is a big favorite of mine as well! Glad I could introduce you to some new ones, Jenny! Great tips! I've struggled with insomnia in the past. Thanks so much for sharing at #HomeMattersParty. Hope you'll join us again. Insomnia is the worst and I experience it, too, Kristi. It is so worth taking steps to get our sleep, though. I love green tea, I drink cranberry tea when my kidneys feel under strain and I love peppermint if my tummy is sore. Thanks for linking up to Pin Worthy Wednesday, I have pinned your post to the Pin Worthy Wednesday Pinterest Board. Thanks, Amber, and I will have to try the cranberry tea, too! I recently started drinking Dandelion Root tea at night so I was delighted to read you post. Thank you for sharing your helpful healthy information and insights with us at the Healthy Happy Green and Natural Party Blog Hop. I'm pinning and sharing. A great practice, Deborah! Thanks for stopping in and sharing. I drink hot tea as part of my nightly routine. It's so relaxing and a great way to settle the mind. It can be relaxing, Jill. That is true. Thanks for stopping in. There are, Sheryl, and many others, too. Have a great weekend. I drink tea a lot. Nowadays mainly for my liver. Camomile tea is my favorite to sleep. Consider the other teas too for liver support. Thanks for coming by and taking the time to comment. Travis wonderful right before bed. Chamiolle is perfect for sleeping. Chamomile is really nice, I agree! I don't have any issues falling asleep…staying asleep is another story. I'm guaranteed to wake up at least once during the night. I love drinking tea but don't do it as much as I should. I wake up, too, sometimes. Such a bother and I can sympathize, Cassandra. I love herbal tea. I've never thought about it as a bedtime drink through. My husband and I usually drink Hot Chocolate. 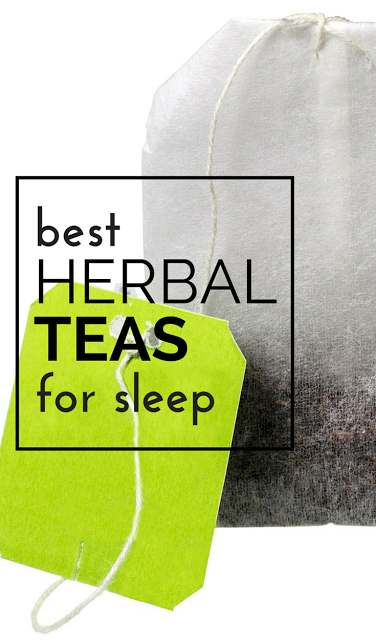 It sure helps us sleep but maybe next time we will try tea. Visiting from Fridays Blog Booster. Hot chocolate can be a nice one too, Rebecca, but the caffeine in chocolate could bother some. Thanks for adding in! Great suggestions! I love tea in the afternoon and evening, and that chamomile/lavender tea sounds great! What brand to you suggest? Traditional Medicinals is the brand I use and like. Try and let me know what you think! Love this!!! So helpful. I've been trying to drink more tea lately! Do all teas have to say if they have caffeine in them? Sometimes I'm afraid the one I'm buying has caffeine if it doesn't say caffeine free! Any tips? Glad you liked the post! To clarify, caffeine is in various amounts of all types of tea made from the tea plant camellia sinensis, such as in green, black, white and oolong teas. Herbal teas and Rooibos Teas are naturally caffeine free and do not contain caffeine. Hope that helps, Liz! Thanks for the info on teas. Sleep is so important and you have written on that before. Yes, Kathleen, sleep is crucial and something I and many others battle with. Dandelion wine? Well, that is a new one on me!! Interesting flavor I am sure. Lemongrass tea would make a nice way to shut down the day. Nice idea. Thanks for adding it, Jessie. I like drinking tea but I've never drank it to help myself go to sleep. I will have to look into more herbal tea, this is a great resource! Love tea here, too! Happy to hear you liked the post, and, yes, do try it at night to put you in the sleep zone! I LOVE LOVE LOVE tea before bed…my mom always had hot tea in the AM and right before bed…I've fallen in love with coffee 🙂 but still love my bedtime tea when restless. Daughter like mother! Nice memory and I am right there with you drinking tea at bedtime many nights. I've never heard of the cover cup/pot thing — interesting! I have a "sleepy time" tea every night. Definitely going to try this! Great! Glad you learned something new, Bri. Appreciate you coming by! I try not to drink too much before bed, so I am not up in the middle of the night, but I sometimes have a peppermint tea to help with digestion. It really does help, Dannii. Thanks for adding in! Thanks for the info. I have trouble falling asleep I need to try these. Do! Even the ritual of making it signals to yourself that you are preparing to wind down for the day! I love the idea of drinking more herbal tea, but when it gets hot, do you think I could make a chilled drink out of it? Any recipe ideas for me? I'm struggling with sleep lately and would love a refreshing drink during the afternoon that would help sleep. Thanks so much for your guidance! Absolutely, Laura. Pour any of these over ice. Here are some other ideas, too (the lavender would be good for sleep issues): http://www.motherearthliving.com/cooking-methods/fresh-and-fruity-herbal-iced-teas.aspx. Let me know how it turns out! Glad to hear it and thanks for passing on the tip, Roger. Have not tried that one, Launna! Thanks for the lead! Cranberry has loads of health benefits.